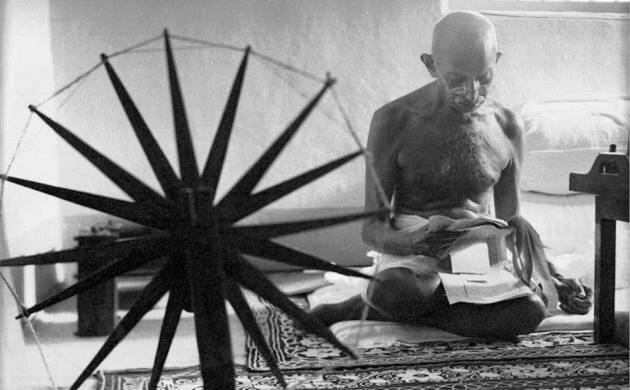 The black and white photo of a bespectacled Gandhi taken by Margaret Bourke-White shows Gandhi sitting on a thin mattress on the floor, head bent down as he is reading the news while his spinning wheels sits in the foreground. The picture was taken for an article on India’s leaders but less than two years later it was featured prominently in a tribute published after Gandhi’s assassination. “It soon became an indelible image, the slain civil-disobedience crusader with his most potent symbol, and helped solidify the perception of Gandhi outside the subcontinent as a saintly man of peace,” Time said. The Time collection includes 100 of the most iconic and history-altering images, dating from the 1820s to 2015 that have remained engrained in the human psyche from the time they were taken. Among the pictures is the tragic photo of the lifeless body of three-year old Syrian Alan Kurdi lying face down on the shore near the coastal town of Bodrum, the 2011 Situation Room photo where US President Barack Obama and his team of senior officials watching the secret operation to kill Osama Bin Laden in real time. The 2001 image of man falling from the Twin Towers in a desperate attempt to save his life as well as the 1993 heart-renching photo of an emaciated toddler being stared at by a vulture as the young boy collapsed on the way to a feeding centre in famine-ravaged Sudan.